During a recent interview, Tobi Bakre gave three conditions Cynthia ‘Cee-C’ Nwadiora needed to satisfy for their relationship to continue. It would be recalled that the former strategic and romantoc partners of the BBNaija reality show in South Africa haven’t been on talking terms since the show ended. “For me, for this relationship to continue…three things; accept that you (Cee-C) were wrong, apologize and then try to be better.” Tobi said sitting beside Cee-C as the interview was conducted. “I dont want to sound defensive in here but the truth is, I don’t owe Tobi any apology. You know why? Because I already apologized for using certain words at him. That is what I know I have done wrong”. Cee-C, the young lawyer reiterated. 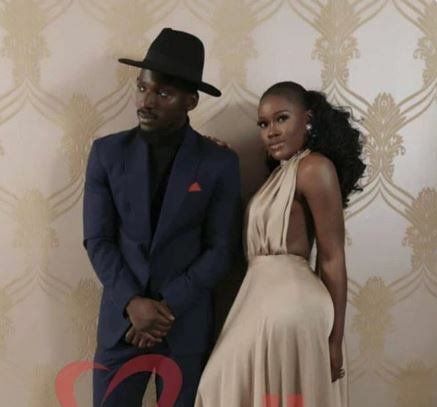 Meanwhile, the friendship between Tobi and ex housemate, Alex has continued to wax stronger with many believing they could be getting romantic in the dark. Next PostNext Tiwa Savage, Wizkid & Chioma : Who Rocks The N248,000 Fendi T-Shirt Best?